Lindsey Davis likes Vespasian. She likes him a great deal as even a cursory reading of her M Didius Falco series proves. 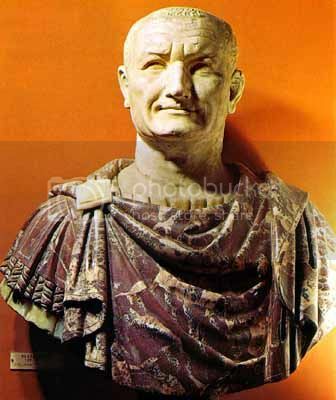 I like Vespasian. Among Rome’s many rulers, he ranks up there – in my opinion – with Augustus, Aurelian and Septimius Severus. And if I had the opportunity to have dinner with any emperor, he’d be the one I’d like to sit down with (or recline in the case of a Roman meal). But Course of Honor* is not Vespasian’s story. It’s the story of the woman he loved – the freedwoman Antonia Caenis. From what little we know of her, she appears to have enjoyed an unprecedented relationship with Vespasian. One extraordinary enough to warrant at least passing mention in the histories that have come down to us. One which, given our lack of sources, is ripe for exploration. 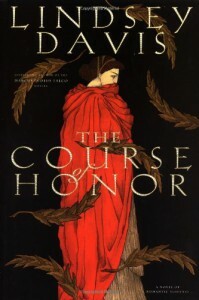 Fortunately, Davis is up to the job as she recounts Caenis’ life from her first meeting with Vespasian to their final reunion when he became emperor. 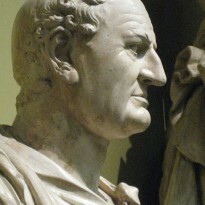 Davis focuses on the personal relationship between Caenis and Vespasian and does a good job of making both of them real people, Caenis particularly. The tone of the writing is more serious than the author’s Falco books but the emphasis on developing interesting characters over plot remains, which – in this case – is a good thing. And Davis’ skill at putting you in ancient Rome remains as well. Overall, Course of Honor gets a recommendation from me, especially if you want to read about a romance that doesn’t involve heaving bosoms, ripped bodices and iron-thewed men. * I have the American edition, so we lost the “u”.